There has been a growing number of new names popping up on the artisan winery scene along the last few years and it has become very difficult for reporters to keep up the pace in reporting on them. It's very heartening to see these new arrivals because it gives a chance for stagnating wine regions to make exciting wines again, bring work (even if on the artisan scale) and help meet the growing national and international demand for real wines. Ben Nerot, who was a musician for a living, is one of these new names, he has been a fan of these wines for years while he lived in Nantes, and, being a native from the Cher valley, he had come back regularly in the region to put his hand where his mouth was, like taking part to the harvest at Noella Morantin beginning in 2010. The story was to become even nicier as his future sweetheat Emily also planned to go pick for Noëlla. Emily Dilling is an American expat who has been living in Paris for 10 years and reporting through her blog Paris Paysanne. From what you can read on her website she loves artisan food, street markets and natural wines, the latter being very easy to find in Paris. She knows the Paris markets and where to source good food (she wrote My Paris Market Cookbook) but she had never taken part to a harvest and doing it with Noëlla Morantin seemed a good option, she met her while attending la Dive Bouteille, the iconic wine tasting event near Saumur. Here was an energetic woman the wines of whom she loved, and she asked if she could take part, without thinking she was about to move for good in this part of France. Emily and Ben met during her first harvest there in 2014. When I shot this picture last october during a prep 501 vineyard spray she and Ben were settling down in the region, having found a house to rent in Pouillé, and she was already learning the skills of biodynamic farming. At this stage Ben hasn't officially started a domaine yet, he's doing the right thing, learning the job while working for other growers, learning from them for the cellar tasks too, the artisan-wine milieu offers many opportunities to learn, these growers need help and manpower even if they do the vineyard work themselves, and they're ethically more willing to share their knowledge and skills than conventional growers who often give a strange stare when they see newcomers wanting to embrace this new life (especially if they dare say they want to work organically...). I experienced it myself when I introduced friends who are also on the tracks for this new life, it's kind of funny (or sad). Here on the rainy season (it's normal in march) Ben is pruning a parcel of Chardonnay, he's already familar with the job and with Laurent Saillard's requirements but you learn all the time because each parcel is different and you have to take into account or correct the previous pruning. And it's the first time he prunes this parcel of chardonnay, it's about 40 years old, it's part of the surface Laurent purchased last year to Catherine of Clos Roche Blanche. Catherine pruning Speaking of Catherine who was until recently the owner of all these vineyards around us, she was not far away that day, I shot this picture on the other corner of the plateau, she was busy pruning an old parcel of Cöt that is now owned by Julien Pineau, some being new replantings as you can see. She told me she wasn't being even being paid for that work and and want to believe her, she still loves the place like it was still hers. She works with electric shears and as I asked about the danger she says she's very careful especially that she even hurt herself a couple of times with traditional non-electric shears. But with the many cuttings to be done in a parcel it's still better to work with such electric pruning shears, you'd get other problems on your hand otherwise. Back to Ben : What's nice is that the weather is changing fast in march and it helps you hold on when you're alone under a heavy rain wondering why you came here in the first place. Laurent who is pruning the next row tells me that this parcel was rented to Noëlla Morantin before he bought it, she was making the cuvée Terre Blanche with it. Ben shows me exactly what he cuts, leaving a poussier on none side and a stem on the other with 8 or 10 buds so that he can later bend the whole to the wire. He says it changes depending of the grower, he learns in the way the different pruning cultures of his employers and from all his experience he'll determine how to work on his own vines. For an outsider like me it looks very mysterious even if Ben explains well, because I feel that you have to take into account the rest of the vine, visualize the plant sap system to really do a good pruning, and I'm not familiar with doing this, you've got to be in the vineyard for months to intuitivelt feel these things. Laurent says that he will uproot a parcel of 73-old Sauvignon because it's too tricky to work with it, the overall yields are too low and he'll replant after 3 years an interesting minor variety. Ben says that in terms of uprooting he'll help soon Paul Gillet uproot one of his parcels too, it's also a first time for Paul to do this sort of thing and they will think about how to do it. I guess when you deal with old vines with deep roots (when the soil has been plowed for many years) it's more difficult than for vines that have all their roots in a shallow depth. He says of course it's always sad to have to uproot but knowing you'll repland a healthy massal selection in its place you have to focus on the good side. What Ben appreciates the most is having the chance to work for people like Laurent or Paul, with whom he shared the same ethics. Not that there is a lack of job offers in the conventional domaines around, you'd have no trouble find work id you're willing to do the pruning or drive a tractor, there are even permanent positions to fill, I came across one when I visited Jacky Preys with the other people I know who were scouting the job opportunities, but in this case you'd have had to know the tractor and spraying-tools use, be already skilled in the field and accept that you'd do some chemical sprays now and then [which I think is not that bad when you learn, as long as you don't do it for too long]. Right now Ben isn't folling a formal training, there's this Formation Viti-Oeno he eyes in Amboise, it's focused on organic farming and he might enroll, he met the people there but they sort of told him that he certainly knew already more than he would learn in the wine school because the training is intended for conventional growers (or their sons) who want to switch to organic farming. For himself it's different he's already immersed in the organic-farming culture and he has the right teachers with all these growers and winemakers whom he helps. I ask if legally he has to have some kind of viticulture-school training to set up his domaine one day but he says no, he may do without. He likes to learn, he says there's a lot to learn on the soils and in this regard he may try to get a formal training, he'll see later, next november when the school training starts, the idea being that whatever he learns here and there it will help him in the future because he'll pick the things he feels are useful for the viticulture and the wines he wants to make. And here came this lucky turn : Ben knew that Catherine had kept a few rows of 65-year-old Gamay out of the deal when she sold Clos Roche Blanche's vineyards to Laurent and Julien, she did that because technically it was an access to her woods and she wanted to keep the stripe of land, eventually uprooting these few rows. She was a bit reluctant to rent this narrow parcel because the fermage [agriccultural land rents] rules in France are restrictive for the owners who basically loose control durably of the field, so she found an arrangement, letting Ben take care of these rows without contract. This move allows him to be in charge totally of a parcel of his own, and vinify the grapes of course, that's a first step to the future status of vigneron. The down side is that there's a lot of work to do on these few rows, they had to begin to take away invasive weeds at the foot of the vines and the yields will be low anyway, especially that it's partly in the shadow. Emily did a lot of work here, that's "her" parcel, Ben jokes, she's taking care of it like her own garden, especially that Ben spends a lot of time working for Laurent. Emily is happy to help tend these rows but she keeps her projects in mind like writing a 2nd book, possibly based on her new experience of living in the Loir-et-Cher (the département around here), and winemaking is definetely Ben's thing, although we'll see that in the fermented-beverage field she has her own projects... She also commutes regularly to Paris for articles and subjects as well as her Podcast project, interviewing different people focused on food and wine. Doing the biodynamics now and then is very interesting she says, she has read a lot about it and doing it for real is a plus, she learns a lot also with Juliette, Julien's girlfriend who is getting a training in Biodynamics. 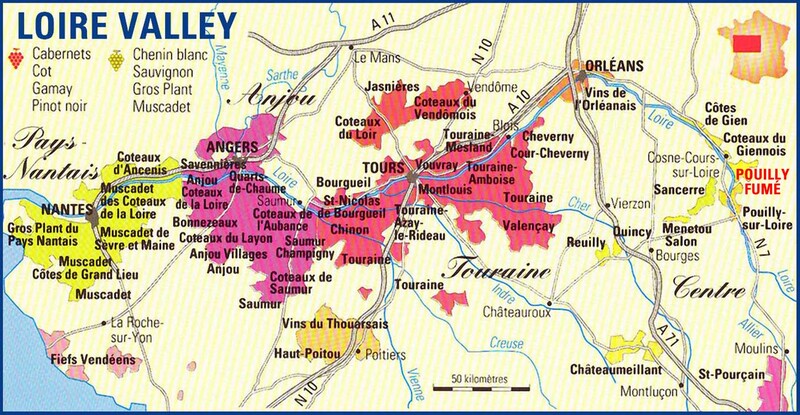 She has also many friends and family from the U.S. who are about to come here in the next few months, jumping at the opportunity to discover the country life in this corner of the Loire, possibly also to enjoy the festive days of harvest. This was really a vinification following the old-time ways, that wasn't for the Art of it but they hadn't any tools yet, they borrowed the resin vat to Noëlla if I'm right and for the pressing they just did it the old way, with the feet. There was even the old-style settling vat where the fross lees separate from the juice, except that instead of stone it was in plastic. Julien and Juliette were there to help, this was for sure a lot of fun for all. Julien Pineau (here with his girlfriend Juliette) who started his domaine last year was helping in this first vinification. What a juice... They had destemmed the grapes by hand, and even though the grapes were small (this is 2015) there was a nice juice, it was heartening. Ben's idea was to make a red sparkling although he's usually not a fan of them, but he wanted to make a super-light wine, easy to drink. He thought initially he'd make half of the batch as still red but given the acidity he opted to keep the whole as pet-nat. You can't imagine a more basic vinification : foot stomping, no sulfur adding, indigenous yeast, no filtration and bottling by hand and gravity with a funnel. Note that experts were hired for the tricky job, Juliette doing the bottle filling... Juliette like Julien have worked for different artisan domaines before setlling in the Loir-et-Cher, beginning with the great winemaker Jean-Christophe Comor in Provence. This first sparkling was bottled in january, they heated the juice with a fish-tank heater to help the fermentation bounce back. For the disgorgment they did it themselves (they could have called Pascal Potaire nearby if needed), they certainly lost a bit of wine in the process as they're learning but they completed the missing wine with a funnel before putting a new crown cap. After the pruning I went to their new place in Pouillé and Ben opened a bottle of his first wine; as said before it's made with leftover grapes that weren't ripe enough when the pickers passed. As said above Ben wanted initially to make half in natural sparkling and half still but changed his mind and he made only sparkling instead. But of course for the next vintage (2016) with his new parcel of Gamay he hopes to make a still red this time. And he plans to find a barrel because making wine in these fiber vats (especially for small volumes) is risky. They have a neighbor who may have a barrel to give them, they'll see. One step after the other, it's not that difficult to find tools and vessels as long as you're doing it patiently. Here is the Cuvée de la République, it's indeed acidic but very bearable, i like that. Ben says there may be a bit of sugar cating the wine here. Some friends found mousy aromas but like Ben says it's very fashionable today to detect mousy notes in a wine like it was for traces of brett time ago, 2 years ago as soon as a wine was a bit reduced the word brett would pop up. Same for the volatile, there's this scare about the volatile. Emily was soon spotted in the village as the new American in town, neighbors are of course polite and not invasive but when given a chance they signaled that they heard about her being an American and they were curious and positively interested. She could give English lessons if she wanted and take part in the village's activities through the associations (the village has its own webpage !) but she has certainly already many things to do. Americans had a historic presence in the region as early as 1917 in the area, when large numbers of American Military settled in a base in Pruniers-Gièvres near Romorantin. Ben's grandmother lived in Blois during the German occupation in WW2 and she recounted stories about passing the Demarcation Line to the free zone south of the Cher river (Pouillé and Saint-Aignan were thus in the free zone). But the American expat brought with her a very American thing, the craft-beer spirit and she's right now making her first beer, taking advantage of the roomy space of the house. She bought the tools in Belgium, the European capital for home brewing, a 5 gallon vessel. Last november she was in California and bought the ingredients there, the U.S. being certainly the best place these days to buy the ingredients, she bought enough stuff there to make a double IPA, a super-hop beer. And with the limits of the checked luggage on her flight she bought additional ingredients at La Cave à Bulles in Paris. Simon who manages the place knows a lot about beers and beermaking and she bought some malt at his place. The previous week when I visited she did some dry hopping, adding more hop. It's the first time she makes beer but she heard a lot about it, interviewing brewers too and she had a lot of beer when she lived in the U.S. so she wanted a bit of her American heritage here with this provocative American I.P.A.